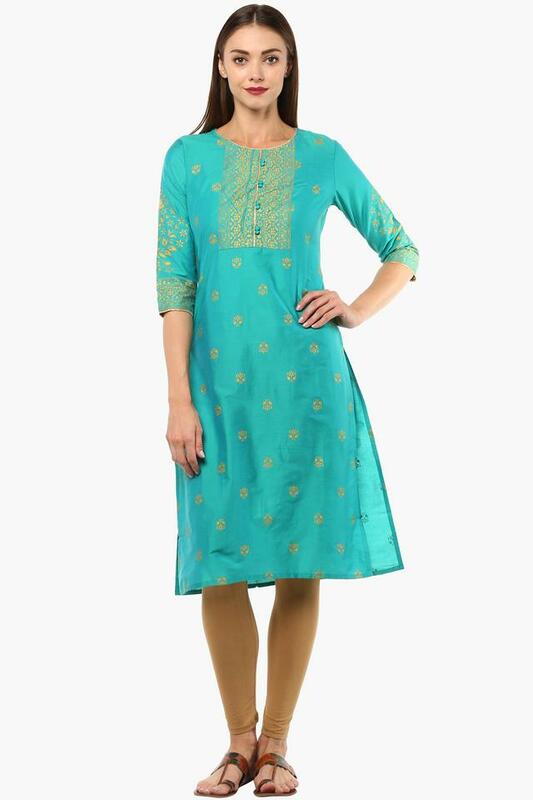 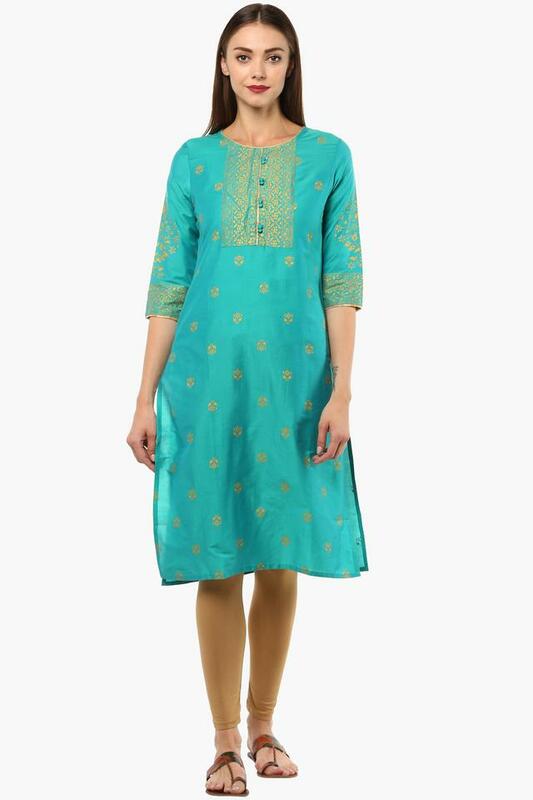 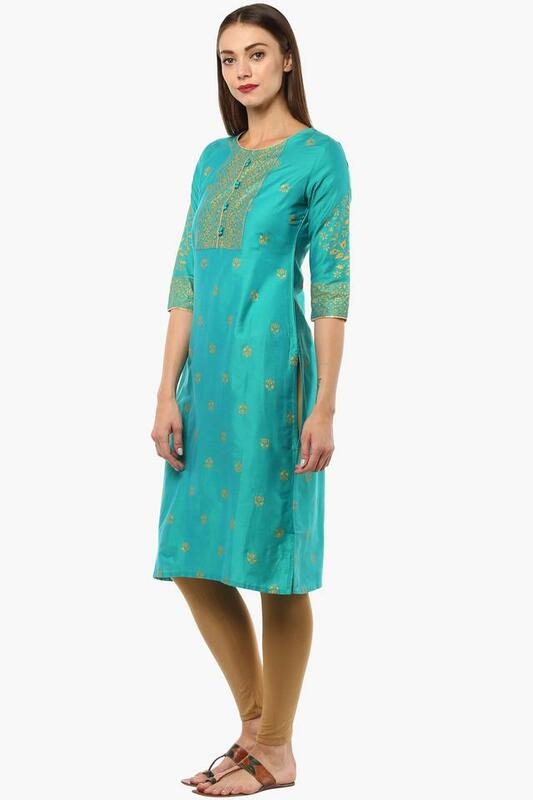 Step out in style by wearing this kurta from the house of Stop. 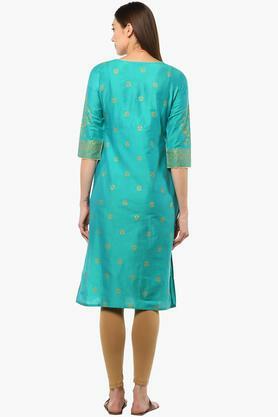 It features a printed pattern that renders it fashionable. Besides, it is tailored with a fine quality fabric that will provide you with optimum comfort. Featuring a round neck, it also comes with three quarter sleeves that add to the design.